I patiently hoarded up my Star Wars Card Trader coins to get to the 900,000 mark and buy another Signature Box which guarantees you one digitally signed trading card and a chance for another one. I bought one back in April with mixed results but I have nothing more invested than my time, it is a fun way to build a nice relic collection. The pack comes with green and orange inserts as the base cards of the pack and you get about 14 of those. 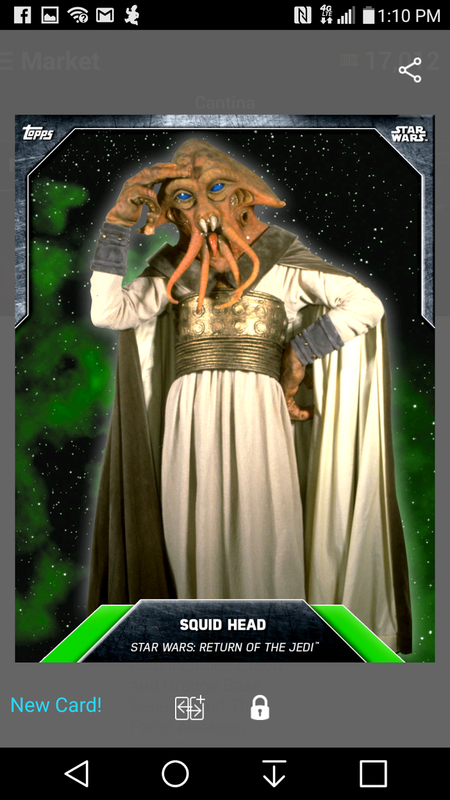 One of the cards I pulled was Squid Head from Return of the Jedi. 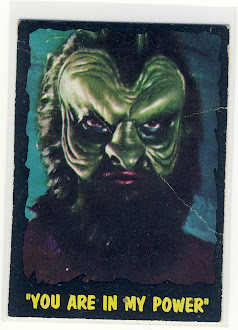 It seems to me Topps is using a racial slur on their trading cards here as "squid head" is certainly not his proper name. 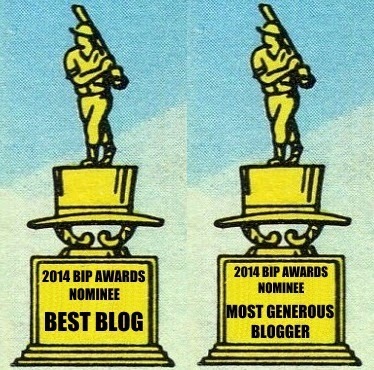 What's next? Is there going to be a Chewbacca card with "Fuzz Ball" as his name? 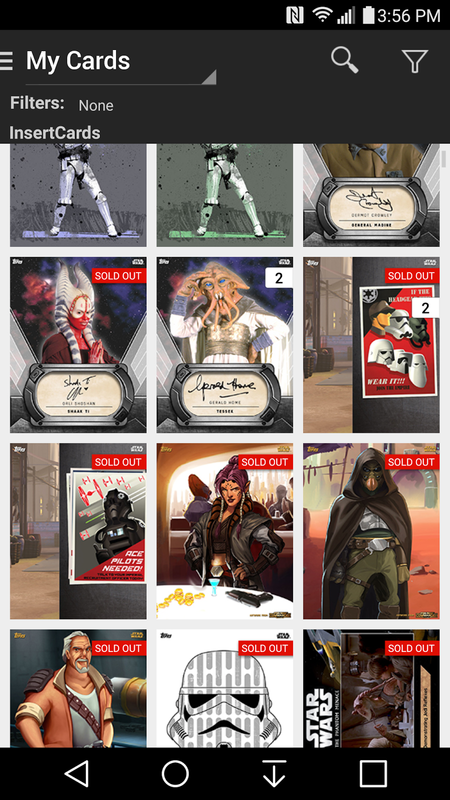 ...you know, that might not be a bad idea for a SWCT pack! Anyway, this character's name is actually Tessek and he is a member of the Quarren race. In Return of the Jedi he was Jabba the Hut's bookkeeper so he knew where the bodies were buried financially. And rather than the slur that is "Squid Head" his race of beings are called Quarren. They actually share the planet of Mon Cala with Admiral Ackbar's race of people the Mon Calamari. I highlight my Squid Head insert because my autograph was the actor who portrayed Tessek in Jedi, Gerald Home. Tessek was his first film role and he has appeared in several British films since then. The pack gives me 25% chance of pulling a second autograph and what do you know, I did hit a second autograph! 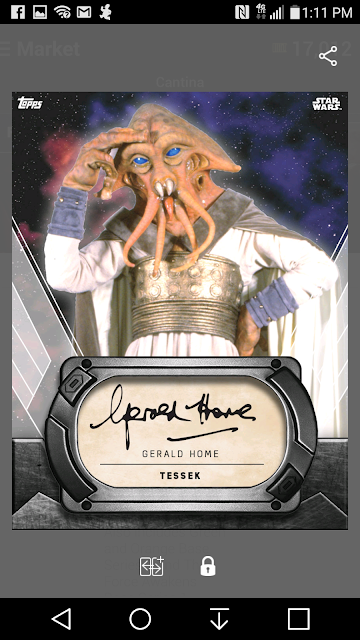 The exact same Gerald Home /Tessek autograph! 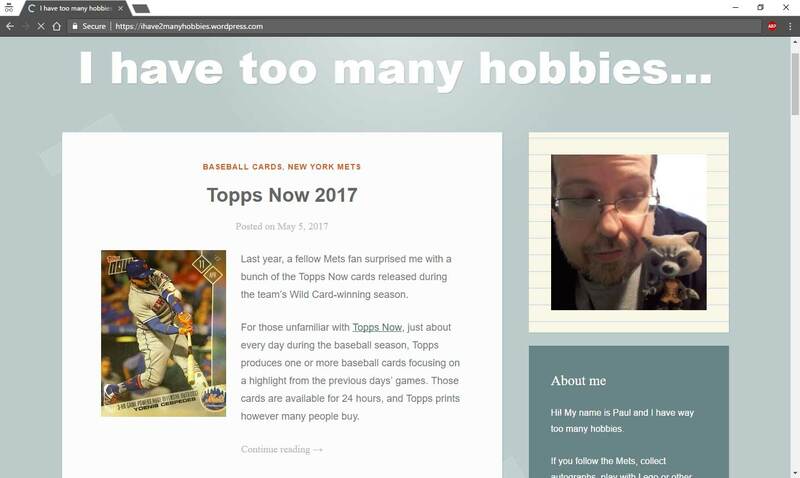 In case you think I'm making this up, here's a screen shot of my card collection and the two Tesseks. The great thing about digital trading cards is that the card maker should have complete control of the roll out of the cards. The algorithm used in determining which cards go out when should/needs to have a "no duplicates" calculation in there to avoid problems like this. A duplicate hit ruins digital and physical products a like and it seems a million times easier to avoid this problem on the digital end! I don't get the joy of a digital autograph. I could right click on this image and had a dual "auto" of Mickey Mantle and Babe Ruth.